Spend a minimum of RM80 in a single receipt with your VISA Debit Card at any Giant outlet. Answer 3 simple questions, complete the entry form & attached required proof of purchase. Drop your entry form in the Contest Box at our Customer Service Counter. 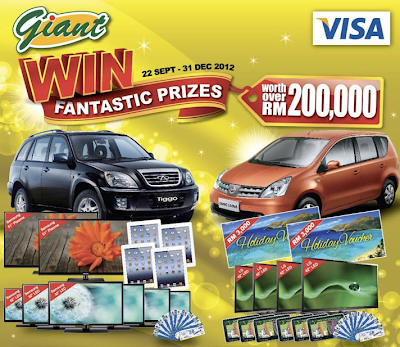 Visit Giant website for more details. Free UniFi !! Free 1 month !! Subscribe now to ENJOY!